Have you moved into a new home, lost your keys, or are simply concerned about security? Re-key your locks now. Whether you’ve moved into a new home, have lost your keys, or are simply concerned about security, you should re-key locks. You won’t need to replace the entire lock and risk damaging your door, window, and other such installations. Re-keying is a relatively simple process and doesn’t take too much time. It’s an affordable alternative to changing the entire lock. A professional locksmith can change the chamber in which the key is inserted and ensure that the previous key would no longer unlock that lock. As mentioned above, the process is very simple and relatively quick. Unless your lock is too damaged for rekeying, this is a good solution to make your home more secure. You just need a skilled Dallas locksmith to handle the task. Some people do attempt to rekey their locks themselves. Unfortunately, this can lead to more repairs and expenses down the line. If you’re able to re-key locks well, you’re fortunate and have saved yourself some money. However, if you make a mistake, the lock can be damaged and you will have to spend more to replace it and refinish the door or window. • The locksmith will remove the face of the lock or the doorknob to access the interior mechanics. • He will take out the lock cylinder before removing the ring and accessing the cylinder plug. 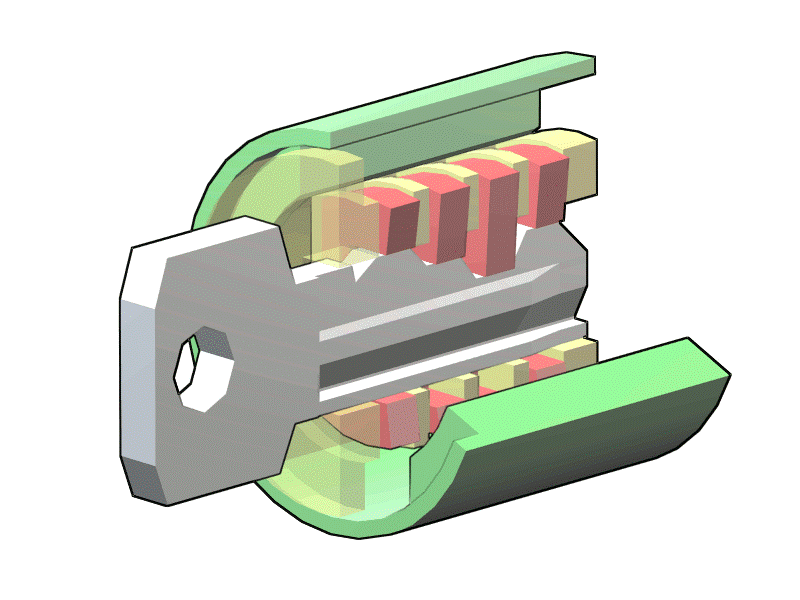 • He will then take out the old lock pins from inside the cylinder and insert the new key. • The locksmith will carefully insert new lock pins and reassemble the lock. You should test the lock and the key a couple of times to ensure that it opens and closes smoothly. Locks are essential for maintaining the security of your property. The last thing you want is to leave it vulnerable to burglars and unsavory elements. Re-keying is an easy and affordable way to secure your home. If you’ve just moved into a new house, you should re-key locks on all doors. You never know whether the previous owner handed over all the keys. They might’ve given a set to their friends or relatives and forgotten about it. You should also re-key locks if you’ve lost your keys. It doesn’t matter if you recovered them after a few days. After all, it’s easy to make a copy of keys. It’s better to be safe than sorry.